Now available to buy here! 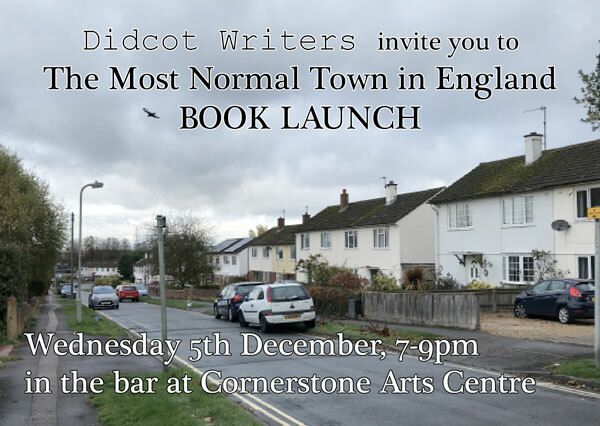 Inspired by the BBC’s assertion in 2017 that Didcot was close to the nation’s average in terms of lifestyle, opinions and experiences, Didcot Writers issued a challenge to its local members as well as writers further afield to respond to the theme, ‘The Most Normal Town in England’, in 800-5,000 words. Submissions were accepted and judged over 5 months in the summer of 2018, and the book was edited during the autumn. In all, 67 submissions were received, of which 42 were selected for publication by a panel of nine judges. With such a massive response, putting this collection together was a bigger job that formerly imagined, but the group’s local members pulled together to make it happen. 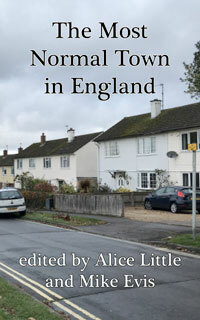 Set in Oxfordshire and also further afield, the stories included in the volume cover a wide range of genres, subjects and moods, from science fiction, fantasy and horror to gritty crime and literary realism, from uplifting to humour to sad and the bittersweet. These stories will show you that a normal town isn't always that normal. For example, the volume features a love story across time, a dark secret hidden in someone's inherited house, the consequences of a casual betrayal only uncovered years later and the looming battle between man and machine in the near future. 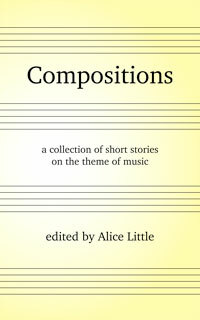 Alongside 'The Most Normal Town in England' we also launched 'Compositions: a collection of short stories on the theme of music', an anthology resulting from our summer competition 2018.